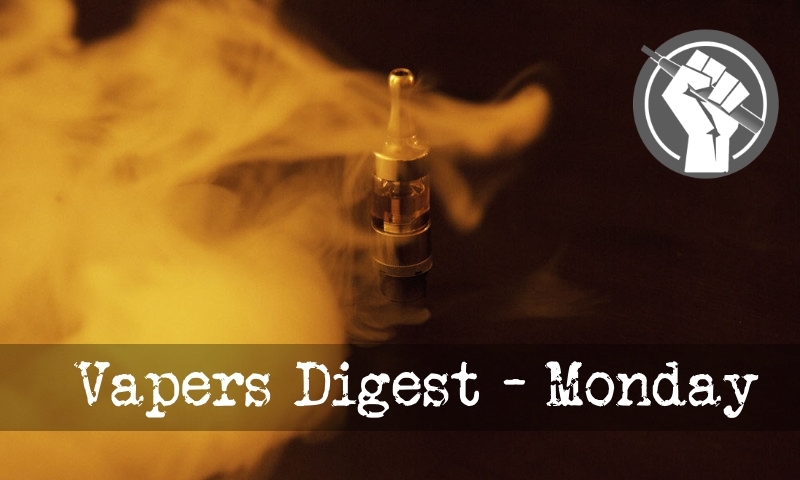 Can the impending near-complete destruction of the U.S. vaping market be averted? A group of public health experts believes it can – though time is running out. Led by Iowa Attorney General Tom Miller (@AGIowa) they have written to the new Commissioner of the Food and Drug Administration, Dr Scott Gottlieb (@SGottliebFDA) with proposals and supporting material. The focus is on what can be done by the FDA itself, without Congress amending the Tobacco Control Act. Local authorities in California, Colorado and New York are pushing ahead with tougher restrictions on vaping; proposed laws cover the full spectrum from flavour bans to age restrictions and inclusion in smokefree laws. Meanwhile the latest data shows that smoking among American teenagers is still falling sharply, with e-cigarettes now the leading “tobacco” product despite vaping also having lost ground. Many of these issues were discussed over the weekend in Warsaw, where more than 300 people attended this year’s Global Forum in Nicotine. Y’see, in April this year one particular anti-smoking group kicked the bucket. It became an ex-anti-smoking group. Most folk I know celebrated the demise of Healthier Futures, which followed on from the demise of Smokefree South West – both groups tried a last ditch re-brand in order to stay current with “public health epidemics” – with Fresh NE taking ownership of the Healthier Futures IP. Now it seems that Fresh are intent on swinging a club towards taking control of what you do in your own home. Smoking rates are now dropping MUCH faster than anticipated. That is against the master tobacco control “endgame“. In December 2012 Australia adopted a draconian anti-smoking policy in plain packaging. The evidence seems to suggest this policy has failed to substantially reduce smoking prevalence in Australia. At about the same time (2012) vaping became very popular in the UK. Survey data published last week cast further doubt on warnings that e-cigarettes are a gateway to the real thing for teenagers. Between 2011 and 2016, according to the National Youth Tobacco Survey (NYTS), the share of high school students who reported smoking cigarettes in the previous month fell from almost 16 percent to 8 percent, even as past-month use of e-cigarettes rose dramatically. Cigarettes have been with us for centuries. With consumers becoming ever-more health-conscious, however, tobacco companies are in a race to reinvent them. Their share prices have soared as a result. A big thank you all the people who made #GFN17 such a success. Hope we see you at #GFN18 14-16 June 2018, in Warsaw. Details online soon. A consistent approach using standardised items to assess e-cigarette use in both youth and adult populations will aid cross-survey and cross-national comparisons of the effect of e-cigarette (and tobacco) policies and improve our understanding of the population health impact of e-cigarette use. Focusing on adult behaviour, we propose a set of e-cigarette use items, discuss their utility and potential adaptation, and highlight e-cigarette constructs that researchers should avoid without further item development. LOCAL consumer groups on Monday denounced as “irresponsible and grossly inaccurate” the recent statements of a Department of Health official who said electronic cigarettes (e-cigarettes or “vapes”) contain the same chemicals used in cigarettes and can lead to more serious addiction to tobacco. Singapore is asking the public to comment on a proposal to raise the minimum legal age for smoking, as well as prohibit the purchase, use and possession of vaporizers and e-cigarettes beginning tomorrow (June 13). Remember The Pleasure of Smoking report, published at the end of last year? Co-authored by Dr Neil McKeganey, director of the Centre for Substance Use Research in Glasgow, and funded by Forest, it was based on a survey of 650 ‘confirmed smokers’.